Dragon Age: Inquisition has been designed to enable players to choose the experience they want to have, not to provide a platform for churning out money-making add-ons. 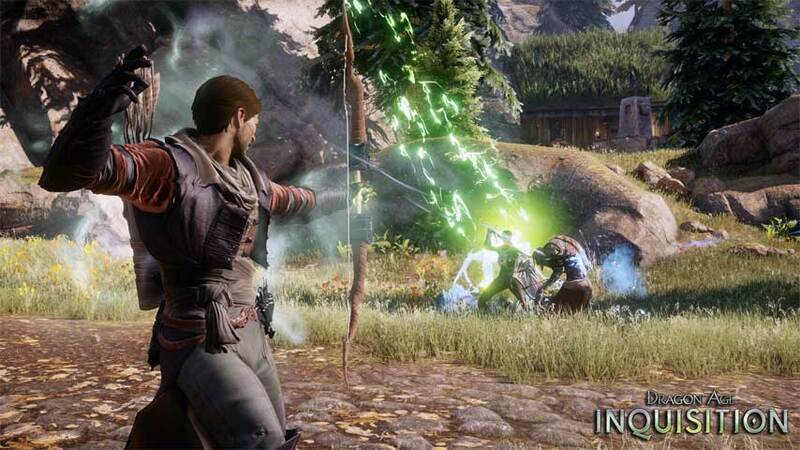 Dragon Age: Inquisition is an important release for EA and BioWare. It’s their first major RPG release of the new generation; the immediate successor to a rushed and somewhat poorly-received follow-up to a beloved classic; and a chance for both companies to show they’re learning, fast, what modern gamers want from evolving genres. One of the things we adamantly don’t want, according to angry Internet comments on recent Destiny, Borderlands and Call of Duty news, is a surge of DLC. 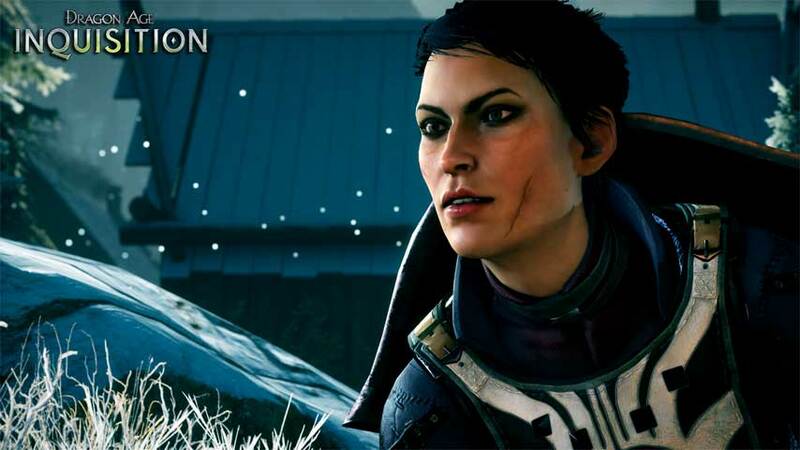 Although we know there will be some add-on content at some stage, BioWare has already said it won’t be pushing out DLC characters or issuing a season pass, and in fact, it seems the team has no set plans at present. I spoke to series lead designer Mike Laidlaw last Friday, the first day of PAX Australia – just before Inquisition went gold. Wrapping up a major triple-A release, globe-trotting on a promotional tour, he had little interest in the prospect of making more content for Inquisition right now. “I get it, DLC’s supposed to be the devil. I think there’s good DLC and bad DLC. Bad DLC feels like it was ripped out and deliberately kept kind of cordoned off. We’re sure not making that,” he said. “Because we’re still wrapping up the game, and in the process of doing so. As we wrap things down, honestly – it’s been a three year journey for us. The team’s mostly gonna go lie down for a while. When BioWare recovers, then it will be time to think about DLC plans, be that extra characters, story missions or full expansions. For now, the only content on the radar is smaller drops for the RPG’s all-new multiplayer mode. “What we are doing is taking the same approach that we did with Mass Effect, where free content packs will be added to it, and those will be available [for free] for everyone, basically like patches,” Laidlaw said. “You grab ’em, you download ’em, you can now play and engage with them in anyway you want. And they’re pay or play, you know, so you can earn gold [in-game] or you can [microtransaction] it if you want. Both single- and multiplayer DLC for Mass Effect 3 was pretty good, and that’s an important thing, because the last major BioWare release, Dragon Age 2, didn’t hit that nail on or even near the head. One example is the Sebastian character DLC, which was available at launch and was the only NPC to use a bow. If the player didn’t choose to be a rogue, and didn’t buy the DLC, there was literally no use for the many, many bows found throughout the game. This did not sit well with fans, who felt this “proved” that Sebastian’s DLC was cut from the game. “A bit of a bummer in terms of, uh, the bow economy,” Laidlaw said, sounding both rueful and amused when I brought this up. In the case of Dragon Age 2, BioWare’s intention of building characters to be unique clashed with the provision of options to the player; since there were only two rogues on offer, and Isabella’s use of daggers was an important part of her character, we ended up with Sebastian as the only archer. That’s not the case this time around. Providing players with options and letting them craft their own gameplay experience is a big deal to Laidlaw, and the result is a gameplay system that both allows for casual engagement and rewards those who dare to keep delving. There are multiple gameplay systems that enable this, and one of the cornerstones is the NPC behavioural system. Chaining together automated NPC behaviours allows you to finely tune your party into the most efficient killing machine. My Dragon Age: Origins set up was, to my mind, a piece of perfection: a tank and two blood mages, caught in an endless loop of healing and enacting damage over time effects, totally unstoppable. My character, a rogue, just wandered in and out of stealth dealing spike damage and popping status effects on mobs, having a lovely time but kind of extraneous to the killing field around her. I confessed this to Laidlaw, but rather than tell me off for letting the NPCs do all the work, he said BioWare has made no changes to the behavioural system to discourage this kind of approach. “That kind of thing, where you’re reliant on other characters to handle the tanking role and that kind of thing – I think that’s perfectly valid,” he said. Please excuse me while I snip this bit of audio out of my files and make my phone alert tone so the lead designer of Dragon Age can praise my approach to his game a couple of hundred times a day. “Inquisition follows that trend,” Laidlaw continued. “Making sure that you have different character builds, that you can have three of every class in your available party – whatever you are, you can have four of if you want – and the characters have their own roles. “You build their talent trees; you can set up certain behaviours and say ‘no, no, don’t ever use this unless I tell you’; you can turn the AI completely off so they’re always under manual control; you can play tactically, play realtime. There’s flexibility built into less essential aspects of the game, too – after the criticism of Dragon Age 2’s unchanging NPC outfits, BioWare has taken cosmetic customisation quite seriously. Those of you who also enjoy playing dress ups will be pleased to learn that the Inquisitor’s dress armour is fully functional and can be worn outside of cutscenes and rest times. “We built the new crafting system allowing you to make armour, and build your own swords and maces and stuff. When the art team handed over that fancy armour, I looked at my systems guy and said ‘You’re adding that into crafting. Add it,'” Laidlaw said. “He kind of looked at me like, why would you wear that as armour? Because we’re mages, people may wanna make a really fancy version of that. And because it looks really cool. Check back later this week for more from out chat with Laidlaw. 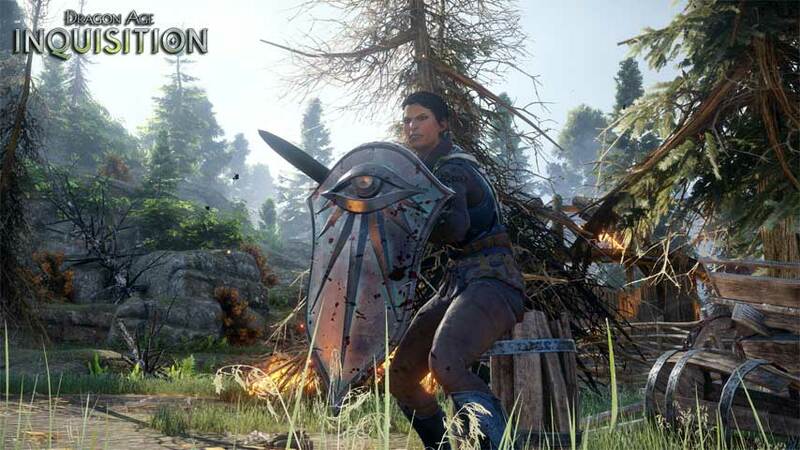 Dragon Age: Inquisition is coming to PC, PlayStation 3, Xbox 360 and Xbox One on November 18 in North America and November 21 in Europe and beyond.